Black Doors…Now That's Dramatic! The Daily Nest: Black Doors…Now That's Dramatic! 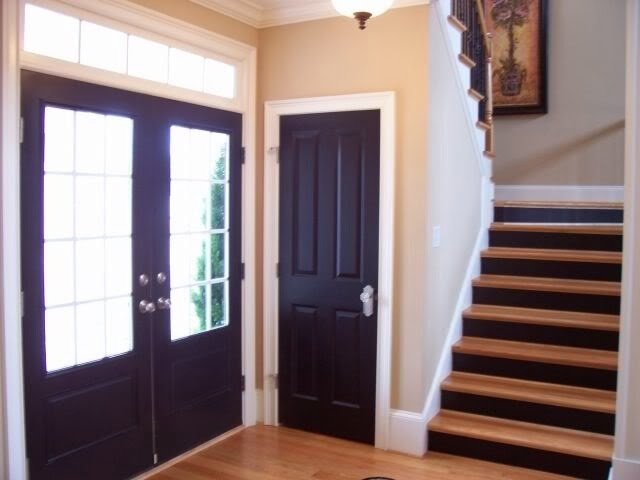 Today I wanted to get your opinion on painting my interior doors in my house black. The picture above is of my front door and a small closet. Can you say unimpressive? Plain, boring, nothing special don't you agree? Say yes, so when I'm explaining to my husband how wonderful this would look, I can say EVERYONE agrees! 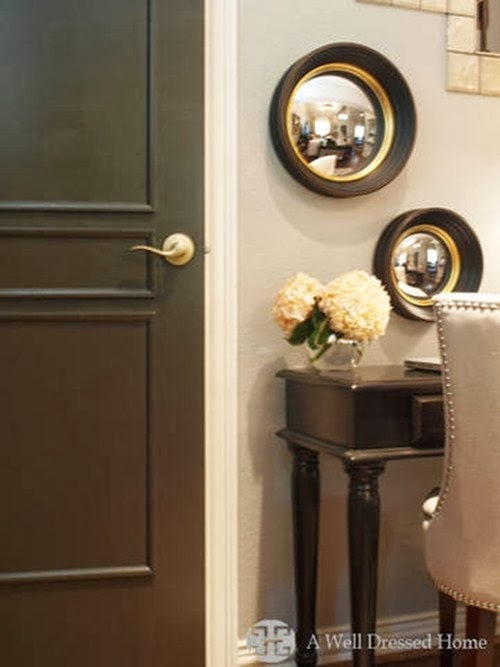 Black doors have really started to pop up on Pinterest actually for a while now. And they have really caught my eye. It's a simple change and fairly inexpensive, that really packs a punch! And adds a little drama to your room! Although I'm sure a lot of work. 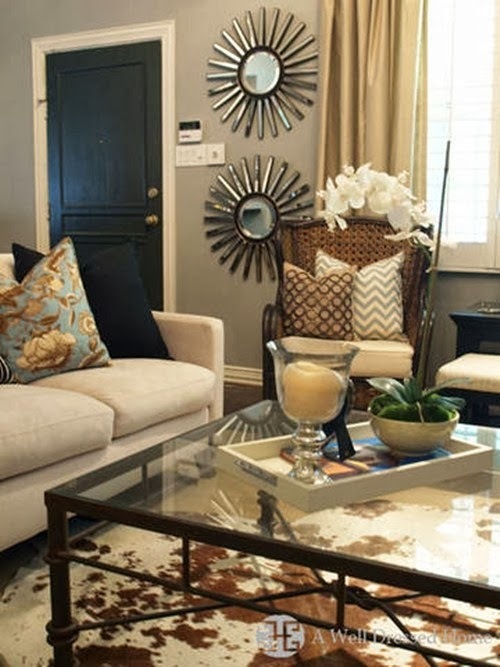 Here are some inspiration photos to help you see my vision! 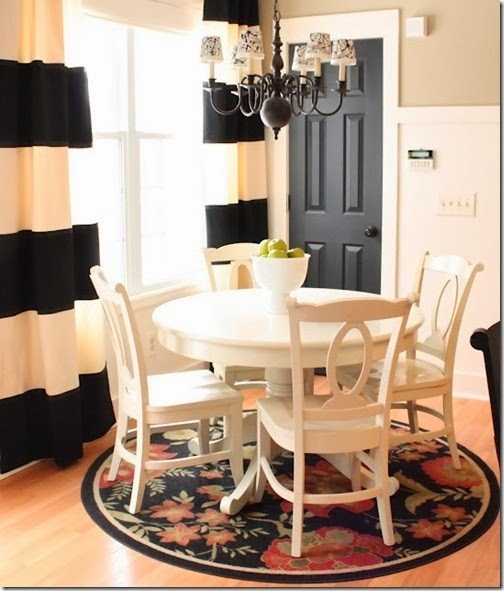 And Sarah's breakfast nook from theyellowcapecod.com is absolutely adorable! 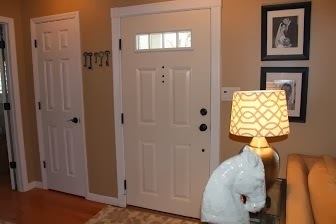 So as you can see, it really turns an ordinary door and room to a timeless, classic look. I'll let you know how the convincing goes. I'm actually pretty good at it! What are your thoughts on painting your doors black? Have you tried it yet? Yes to black doors :) Beautiful!